One of the most important, and most difficult parts of any personal injury case is the Examination for Discovery. In the United States, Examinations for Discovery are called Depositions. The two are basically the same thing. A Discovery is a chance for the lawyer acting for the insurance company to ask the Plaintiff/Accident Victim all sorts of questions about the car accident, their lives before and after the accident, along with their injuries. All answers are recorded by a court reporter. All answers are given under oath, meaning that you have to swear or affirm your answers to be the truth, the whole truth so help you G-d. The discovery is likely the first time that the lawyer for the insurance company gets to meet the Plaintiff face to face, and hear them speak candidly about their accident. It’s a very intimidating process for all of our clients. Let’s face it. The lawyer for the insurance company does this sort of thing for a living. It’s his job to break down your case, get to the truth, or get to the answers which he wants to hear. For the accident victim, it’s likely their first time experiencing an Examination for Discovery. It’s likely their first time formally going “on the record“. They’re likely nervous, in pain, and frightenend by the entire process. It’s even more difficult when an accident victim isn’t very good at articulating their feelings or pain symptoms. Either way, it can be a reciepe for disaster if not handled the right way. 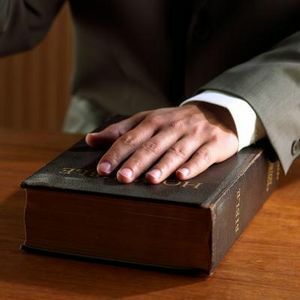 Thankfully, we here at Goldfinger Injury Lawyers are here to give you a few pointers in terms of what to do, and what not to do before your examination for discovery. This Toronto Injury Lawyer Blog Post is in no way a substitute for meeting with one of our accident lawyers face to face to discuss your case along with the Examination for Discovery. 1. DO review your documents before your case so that you will know what the lawyers are referring to during the examination for discovery. That’s pretty safe legal advice don’t you think? 2. DON’T go out partying/drinking the night before your discovery and show up hung over, reeking of alchohol/drugs and in no state to give evidence. Seems obvious, but trust me…it needs to be said. 3. DO attend at your discovery early to get familiar with the Court Reporter’s office and the surroundings. Washroom here. Coffee here. Waterfountain here. Newspaper here. OK..I’m comfortable. If you’re going to be late, call your lawyer or the Court Reporter’s office and let them know. We will understand and appreciate the courtesy call. 4. DON’T lie, guess or make up stories under oath once the discovery begins. You’re just shooting yourself in the foot and destroying your case. The lawyer on the other side of the table is smarter than you and will catch you in your lie (trust me). 5. DO be polite, courteous and likeable. Even if the other lawyer for the insurance company is a total jerk (which they can be). Likeability as I call it goes a long way, especially before a Judge and Jury. Think about it. If you were on the jury, would you award more money to a nice and likeable person as opposed to somebody who was rude and surly? Likeability goes a long way and pays in the long run. Let it shine at discovery. 6. DON’T yell, use curse words or get into a verbal or physical fight with the other lawyer. The discovery is a chance for the other lawyer to see how you would act in front of a judge and a jury. They’re likely pushing your buttons on purpose to see if you’ll go off. Because as soon as you go off, they know that the judge and jury will be turned off from you and your case. 7. DO stretch and take breaks. If your back hurts, or you begin to lose focus, that’s when you start to make mistakes and nobody (except for the lawyer for the insurance company) wants that to happen. Remember, you’re not a prisoner during the discovery process. If you need to take a break to go to the washroom, for a coffee, for a cigarette, or just to have a breather so you don’t have to answer any questions for 5 minutes, then ask for a break. One will be given to you, and your lawyer, and the Court Reporter will thank you for it. Even us lawyers are human! 8. DON’T take a break and not come back to your discovery. Seems obvious, but again, it needs to be said. Some people get crazy ideas. I will end this blog post by sharing a story with you of the most traumatic discovery I’ve ever had. It was in London, ON. My client is very disabled, and has serious issues with stamina, pain management, fatigue, concentration, etc. She is not in good shape. After 10 minutes of questioning, she asked for a break. She asked that I help her to get to the washroom. She uses a cane to walk. As we were walking to the washroom, she fainted in my arms. She was taken by ambulance to the hospital having suffered a heart attack. Had I not caught her, her head would have hit a chair in the lobby. Now that was an eventful discovery. Toronto’s basketball team is on a 3 game winning streak? Toronto’s baseball team is the favourite to win the World Series? I can’t wait for that parade down Yonge Street.